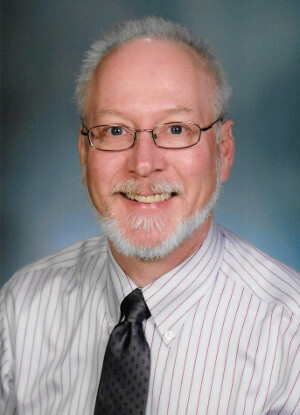 Karl Ruff, Roosevelt High School, has been selected as the recipient of the K-12 STEM Engineering Teacher of the Year Award. In his ninth year teaching at Roosevelt High School, he has created an environment in the high school with the look and feel of a current state-of-the-art engineering and protyping shop. It is a place where students can practice leadership and entrepreneurship while learning the fundamentals of engineering. He allows the students to choose the engineering subjects that interest them and to work in self-directed teams. Students can choose beginning and advanced classes in Introduction to Engineering Design, Aerospace Engineering, Computer Integrated Manufacturing, or Project Management. Each period has a classroom project implemented by a student project manager who works one-on-one with a certified Project Manager Professional. As part of the class, students are required to develop and deliver industry-level professional presentations. Mr. Ruff brings to his work all of the elements needed in a great teacher: the ability to connect with students and help them find what is meaningful, deep content knowledge, a project-based approach, and a nimble sense of what students will need to know and learn in tomorrow’s global economy. Mr. Ruff works with his fellow educators in the state to share best practices. He served on the executive board of the Washington Association of Career and Technical Educators of America and helped organize summer conferences which cross functional boundaries. He is past president of the Washington Industrial and Technical Educators of America, the state organization of engineering and technology teachers. Mr. Ruff is the faculty adviser for four student clubs at Roosevelt High School: the Iron Riders First Robotics team, the Technology Student Association, the SME Student Chapter, and the Roosevelt Girls Rocket Club Team. He clearly has been a leader in promoting and advancing STEM engineering related education in his high school.